Mrs. Howe loved literature, writing and foreign languages. As a child, she had escaped into worlds of literature and, when she was older, corresponded with or meet some of the great authors and thinkers of her era. She used writing as an exploratory outlet for her feelings and published several volumes of poetry which she had written between caring for her six children and helping her husband. Samuel Gridley Howe – a medical doctor and founder of a school for the blind – was a social reformer; he and his wife supported abolition. 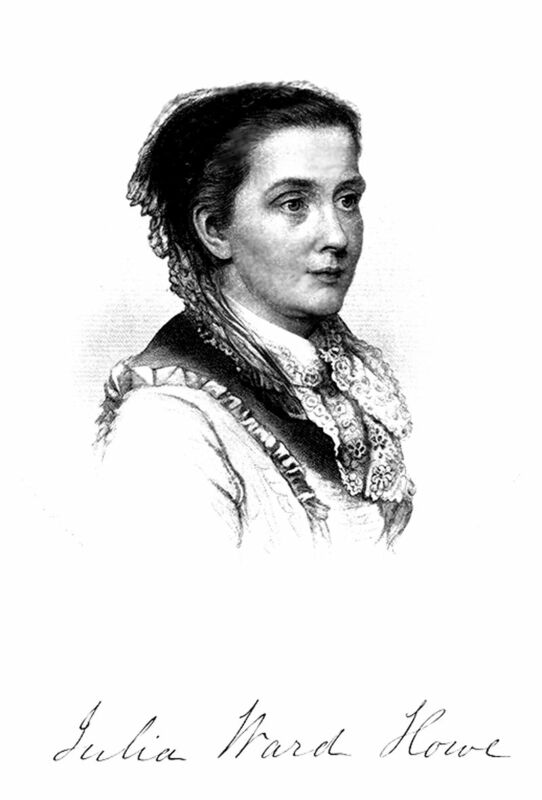 After the Civil War, Mrs. Howe actively supported many social causes, including women’s suffrage and the arts. Her Civil War song had made her famous, and she wrote for literary publications. She supported pacifism and urged readers to work for world peace. Oddly, she is best remembered for writing a song that’s associated with war and republic ideals. I went to bed that night as usual, and slept…quite soundly. I awoke in the gray of the morning twilight; and as I lay waiting for the dawn, the long lines of the desired poem began to twine themselves in my mind. Having thought out all the stanzas, I said to myself, “I must get up and write these verses down, lest I fall asleep again and forget them.” So, with a sudden effort, I sprang out of bed, and found in the dimness an old stump of a pen… I scrawled the verses almost without looking at the paper… At this time, having completed my writing, I returned to bed and feel asleep, saying to myself, “I like this better than most things that I have written.” …I knew and was content to know, that the poem soon found its way to the camps, as I heard from time to time of its being sung in chorus by the soldiers. John Brown’s Body and another soldier’s version Hang Jeff Davis remained popular in the Union armies for the duration of the war, but Battle Hymn of the Republic is one of the songs most closely associated with the Civil War in the modern mind. 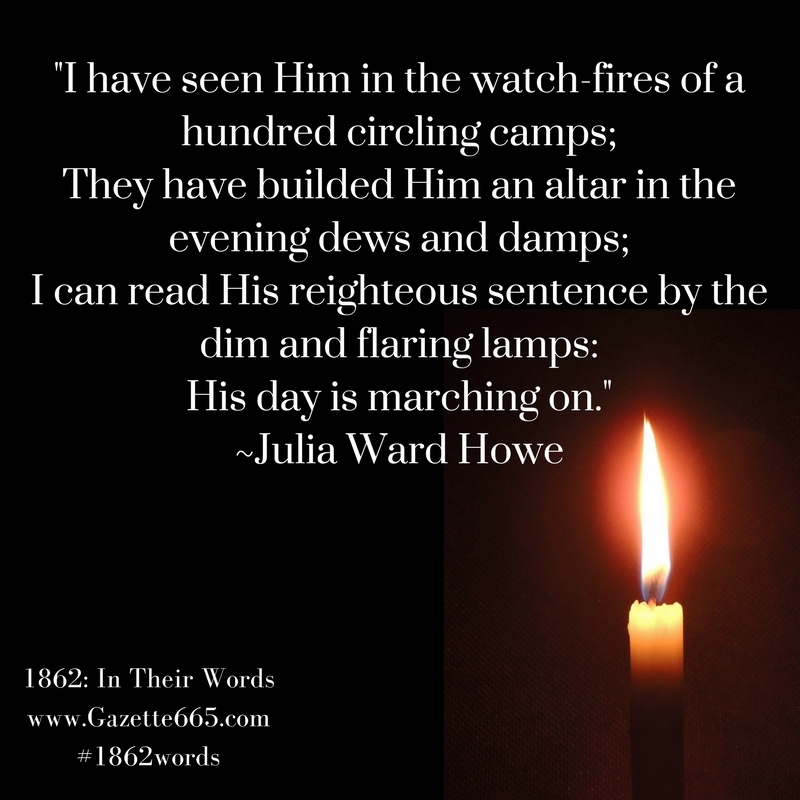 Did you notice that one of the verses in the original Battle Hymn is generally left out in modern performances? It’s one about the rows of “burnished steel.” What is that section talking about? First, it evokes imagery of steel bayonets on rifles. Then it transitions into a religious theme to present the idea held by many northern abolitionists that the war was God’s way of punishing the south for slavery. Another thing from the Civil War era that’s generally changed in modern renditions is in the fourth verse. The original says “let us die to make men free,” a very clear statement from an abolitionist view about the war’s cause. Interestingly, our society seems to prefer an altered version “let us live to make men free.” I personally feel that the impact of that final verse is lessened by changing the word; so, if you stand near me and we’re singing Battle Hymn expect me to sing the traditional wording. 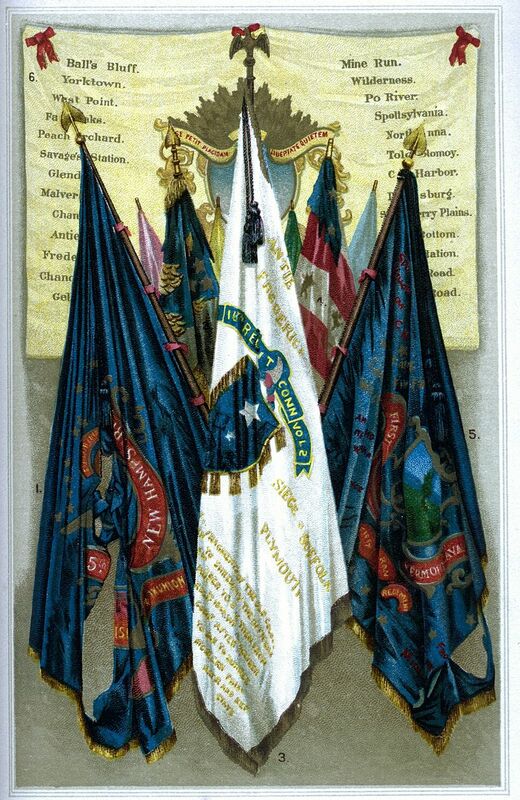 In the Civil War, thousands died and an ultimate result was freedom – why forget their sacrifice? P.S. So…what’s your preference? Battle Hymn, John Brown’s Body, or Hang Jeff Davis?